The Smart-Rail, An Innovative Bed Assist Rail. The Smart Rail is an innovative bed assist rail, designed for those requiring help with standing, moving, or transferring in and out of bed. 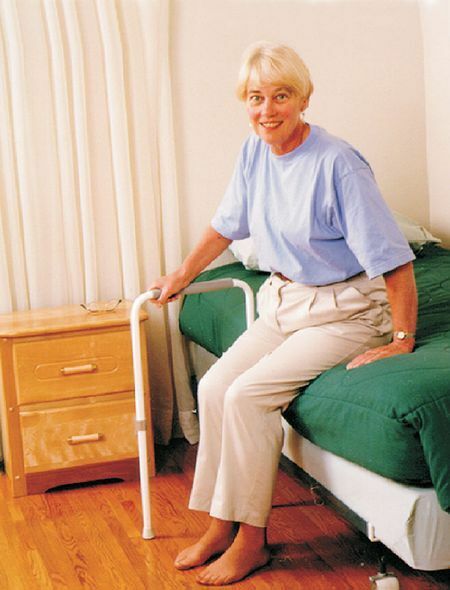 Unlike fixed bed rails, the Smart-Rail is able to unlock and pivot outward to provide better standing support meaning less reaching or twisting. The solid and secure steel frame is supplied with straps that are attached to the opposite side of the bed frame to minimise movement during use. 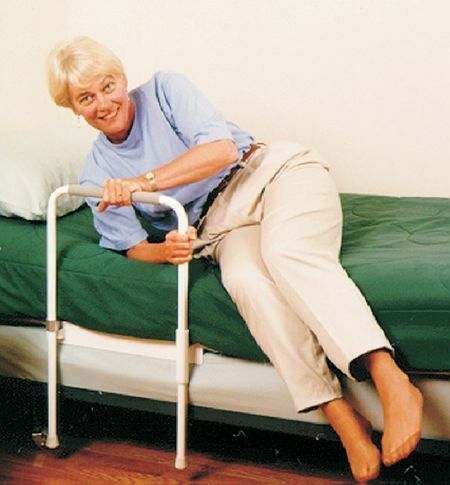 Folds flat for transportation and can be easily installed on other beds when travelling.